* Total number of reviews and star-ratings are based on data collected during the time period Owen AC Services, LLC has been using the ReviewBuzz system and may not directly match the data found on each public review site. Friendly, efficient and professional service. Robert was very prompt and ready to test diagnose and repair my Trane HVAC unit. I would use no-one else. They were friendly and very informative to the condition of my HVAC. They were here within hours of me calling. And my AC was fixed quickly. Thanks for the great turn around time. So pleased with Robert - dependable, personable and keeps his prices very reasonable. So glad he's in my life. Always goes beyond the norm and I recommend him to EVERYONE. He was referred to us by a neighbor who had used Robert's dad for A/C/Htg services for years. This is quality service with a smile. Professional and extremely knowledgeable. Courteous. Made a service call on a holiday, when my a/c was completely out. I do not have to worry about anything when Mr. ***** works on my air conditioner. That is such a wonderful feeling. Recommend without hesitation. Robert has always responded fast when I have called. He takes care to address all the problems when he comes . I have used Owen AC For several years and he has always came through with the repairs in record time. I've known Robert Owen for about 9 years, and I have never known him not to be honest and straightforward with his customer. I appreciate this beyond words and would recommend his service to anyone in need of HVAC Services. Owen AC Services came through once again as expected! Arrived on time, with the needed equipment and had our AC repaired in no time. Robert Owen has been my go-to AC repairman for several years now and I wouldn't think about calling anyone else. 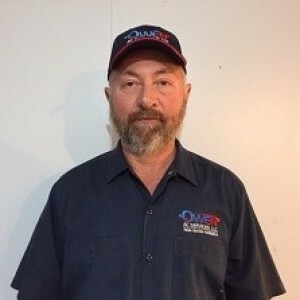 Mr. Owen installed my ac units three years ago, and I could not have asked for a better serviceman or company. I recommend Owen AC to anyone and everyone looking for not only affordability, but for service based on integrity and honesty. We have used Robert for 3 years and have been very happy with his services. He charges a VERY fair price and is honest about what is needed. He has great response time and will do everything he can to be at your home as soon as possible. Highly recommend Robert! They did a great job for us, we've used them before and will use them again. Thanks for prompt service and clean work. We have dealt with Robert Owen of Owen AC for a number of years. He has always given us good service in a timely manner. And in every case, he explains the problem clearly and the estimated repair bill. He is courteous and knowledgeable and, perhaps most importantly, he is trustworthy. I have not always found that to be the case with some other service companies I used before working with Robert. Without reservation, I would recommend Owen AC to anyone for their AC and Heating repairs. Robert Owen and his crew were very good at replace old with new AC/Heat Unit. Very Professional and finished the job in a timely manner. I have used this company several times and so has our whole family along with customers I have sent him too. Every one has been happy with the work they do. We will continue to use Owen AC Services. Thank you Mr. Robert for fixing our A/C unit, you were very prompt on arriving and fixing the problem!! I have used Owen AC Services for about 3 years and we are extremely happy with his services every time. He's here when he says he will be, he does a complete and thorough job and his prices are fair and competitive. I highly recommend him. I have used Owen AC Services for 5 plus years and have been pleased with the quality of the work, their charges and the helpful advice they provide. I can recommend Owen AC Services without qualification. I live in the Galleria area. Owen AC Services, LLC Team . Customer service is always a top priority at Owen AC Services, LLC. Our BBB Membership A+ rating is like a badge of honor as we continuously strive to provide the best experience for our clients.